A wedding anniversary is a romantic occasion that marks the conclusion of a phase and the beginning of a new era in the married life. The occasion celebrated annually on the exact day of the wedding; would make the celebrating couple cherish the memories of their wedding and subsequent time spent together. The celebration would be incomplete without anniversary gifts that would add spice to the occasion as the recipient would feel special. At Giftcart.com we offer fabulous anniversary gift ideas that would be most suitable for the romantic occasion. The gifts need to convey love in such a way that the recipient would be convinced about his or her importance in the beloved partner’s life. 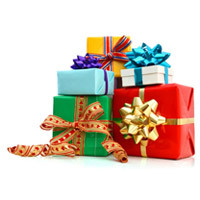 That is the reason Giftcart.com emphasizes the presentation of gifts in the most loving ways. 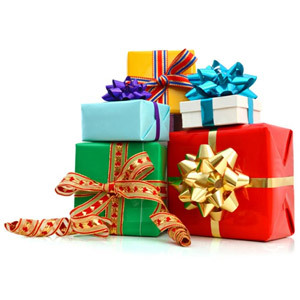 Giftcart.com offers impressive gifts that would be suitable for the recipients as well. The way of pleasantly surprising the beloved wife through the most memorable anniversary gifts for wife would be simplified by the available range of meaningful gifts. Similarly, the husbands would also be pleased to receive anniversary gifts for husband available at the online store. Eventually the gift ideas would be fascinating for the concepts implemented through the wonderful craftsmanship and expressions through meaningful words. The partners can select personalised cards as anniversary surprises for each other as well. There are a variety of cards with different attractive love themed images and text messages at Giftcart.com. The anniversary cards can be personalised adding photographs and names of the celebrating couple; and also through printing the names and personalised love messages inside the cards. The fabulous anniversary cards at Giftcart.com would present beautiful gestures and feelings of love towards the beloved partner. Happily Ever After Anniversary Card features photograph of the couple along with a personalised love message. Day Of Love Anniversary Card portrays the couple’s photograph in heart shape and text message: “FOR A DAY FILLED WITH LOVE”. This message adds spice to the celebrations. Cute Lovebirds First Anniversary Card would be the most memorable first anniversary gift idea. The lovely lovebirds on the branch of tree portrayed on the card would make the partners feel united all the time. Thus, there are many attractive anniversary cards that would help to create the romantic environment on the special occasion by expressing the innermost feelings in innovative ways. The emotional unity and the zeal to dream together and accomplishing the dreams would be inspired due to the meaningful anniversary cards offered at Giftcart.com.